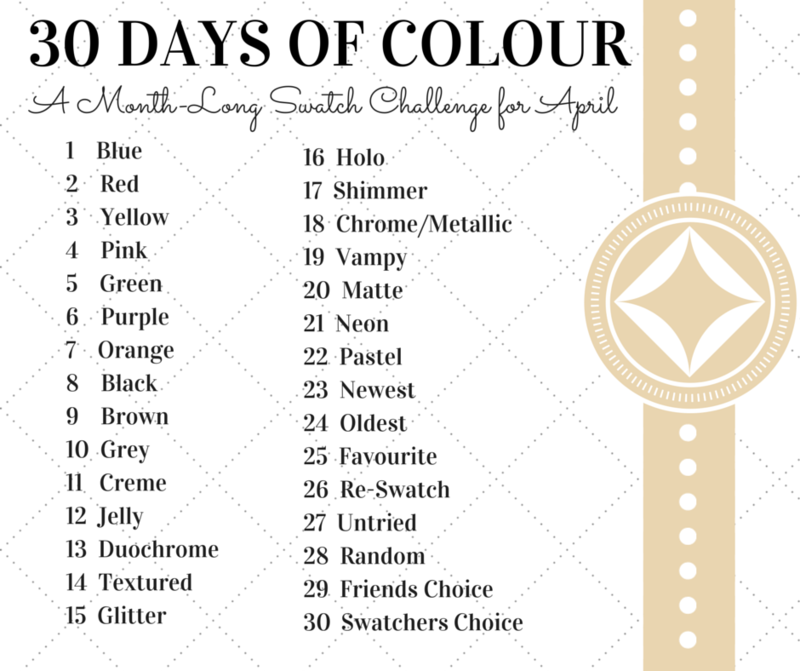 The first theme in the challenge is a blue polish and I've decided to go with Zoya Liberty. This is mainly because I just made a huge order of Zoya PixieDusts and I really feel like I should try more of the ones I already have before they get here! 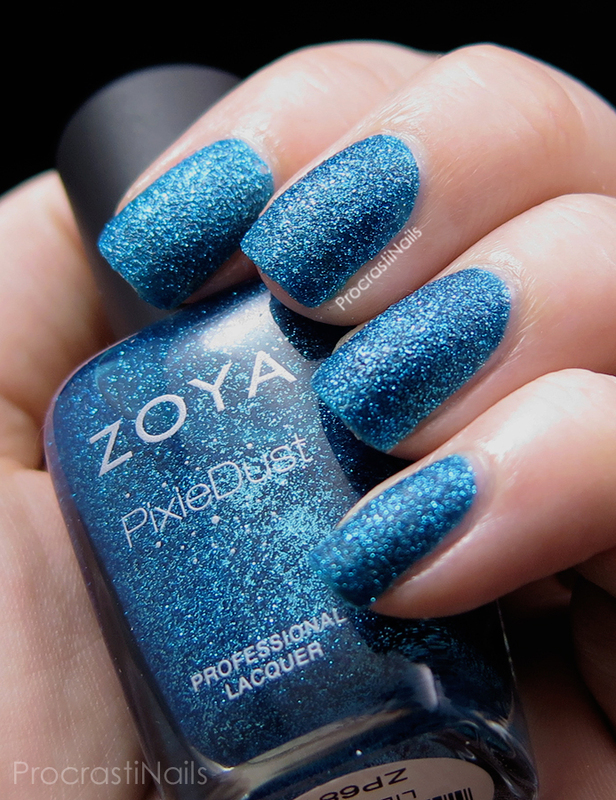 Zoya Liberty is a polish I saved from the sale bin last year and it was originally from the Summer 2013 PixieDust line. 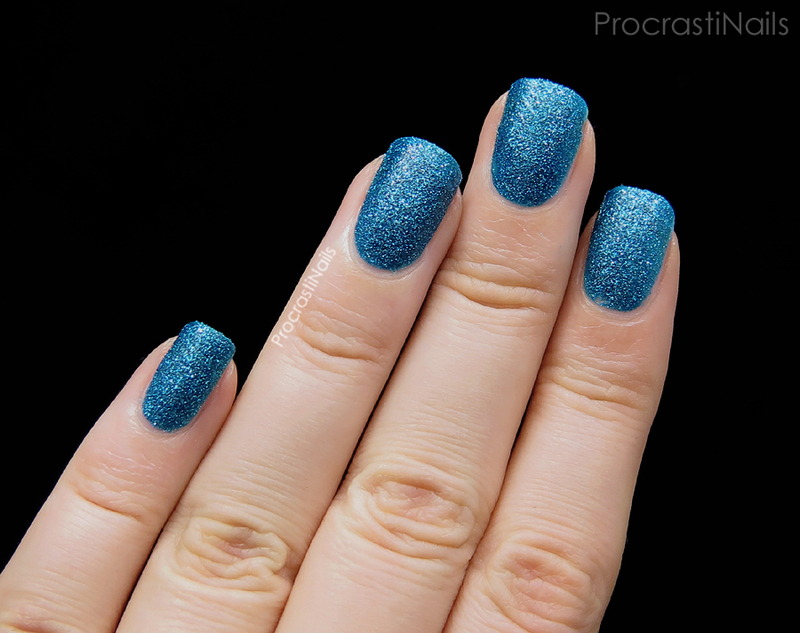 It's a gorgeous ocean blue matte textured glitter polish. I used three coats to get full opacity and it dried fairly quickly (like most textured polishes). You can see how packed with glitter Liberty is in this macro. I know some people dislike textured polishes but I honestly can't get enough of them. I love that slight rough feeling! And for fun here's a shot of it with two layers of top coat. The glitter really comes through in a gorgeous way with that added gloss! I'm definitely happy that I pulled this polish out and now that I've used it I'm thinking of fun beach-y and ocean-y designs I could use it for. Ultimately I preferred it in textured form but one thing I really like about textured (and matte) polishes is that you really have two different polishes in one - just add top coat! Welcome back Katherine !!! This is really beautiful polish, I do not have too many textured polishes, but my first and most loved one is Blue lightning from Liquid sky lacquer. It's similar to Liberty, but has sparse larger blue glitter added. Thank you so much lovely! :) Blue lightning sounds gorgeous! That macro shot is heaven! I am one of those people who happen to love textures. Surprising this is one of the few Zoyas I don't have. It is super pretty, too. This makes me mourn the pixie dusts. 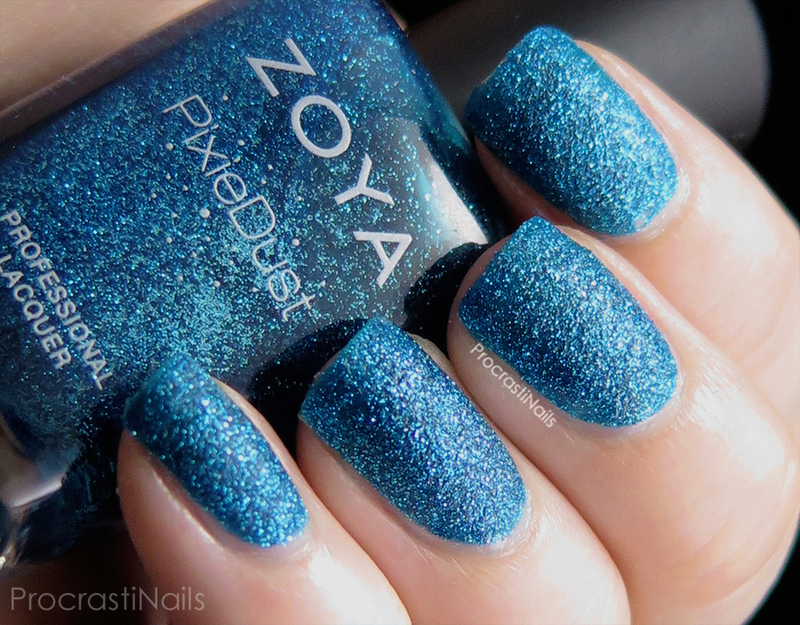 I wish Zoya hadn't discontinued them and had just gone back to making them like this! This is one of my favorite pixiedusts out of all my Zoyas. It reminds me that I need to use it more often! I'm totally swooning over this polish - wish I'd picked it up. I just love this polish! I'm crazy about textures too. Wish I had this one! I love textured polishes, but only the ones with bigger glitters mixed in. Liberty has a gorgeous colour though! That macro shot had me drooling!! 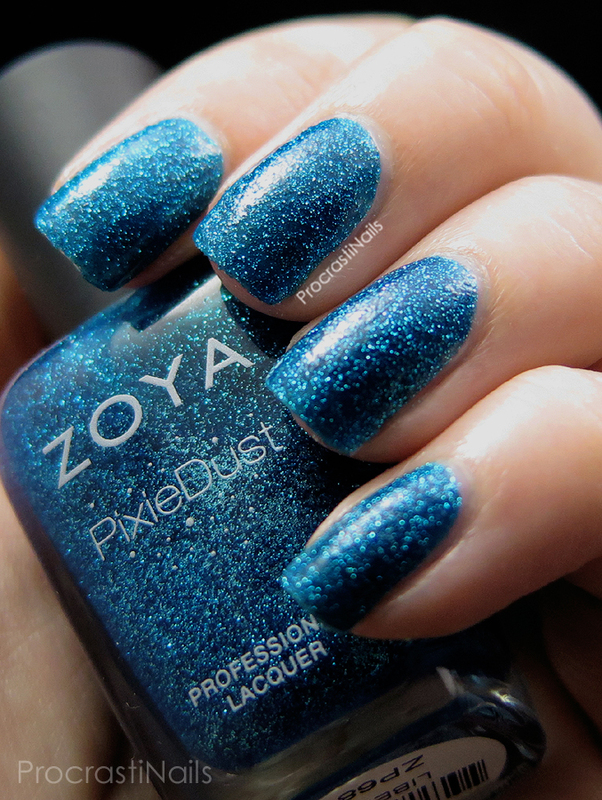 I love Zoya's original Pixie Dust line especially with top coat!! I LOVE Liberty!! Especially with top coat!